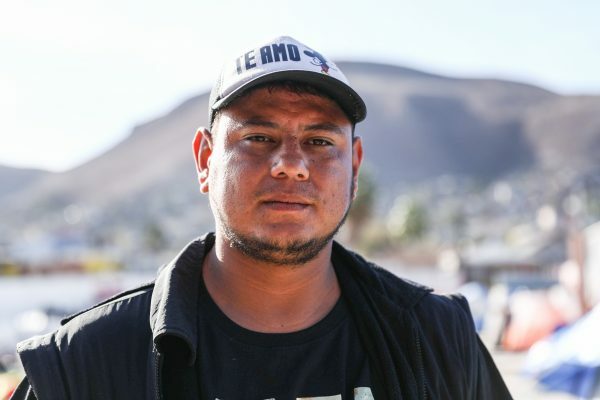 Coban is one of thousands of Central American migrants starting to make alternative plans after their assumption that the United States would open its gates to them proved incorrect. A failed attempt at forcibly breaking through the U.S.–Mexico border on Nov. 25 left many migrants disillusioned. 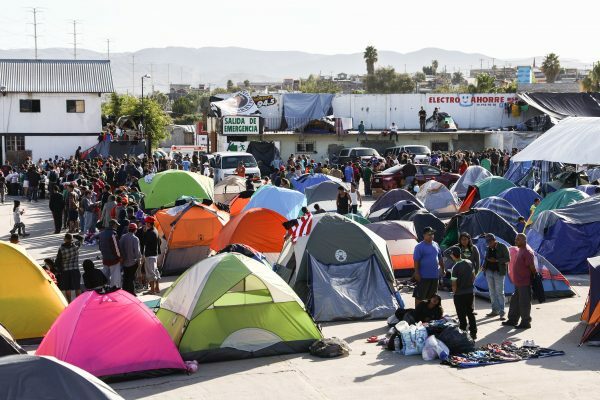 Around 6,400 migrants were staying at the Benito Juarez sports complex next to the U.S. border in Tijuana until Nov. 30, when authorities started moving them to a new location because a downpour created unsanitary conditions. On Dec. 2, The Epoch Times was told only 2,100 migrants were at the new camp, situated 10 miles from the U.S. border. 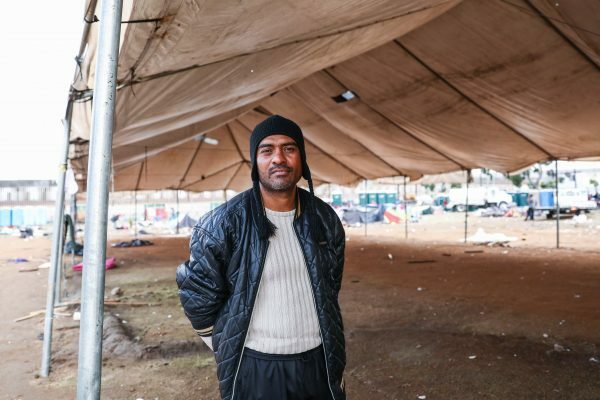 However, authorities at the new camp said they didn’t know where the missing thousands were. 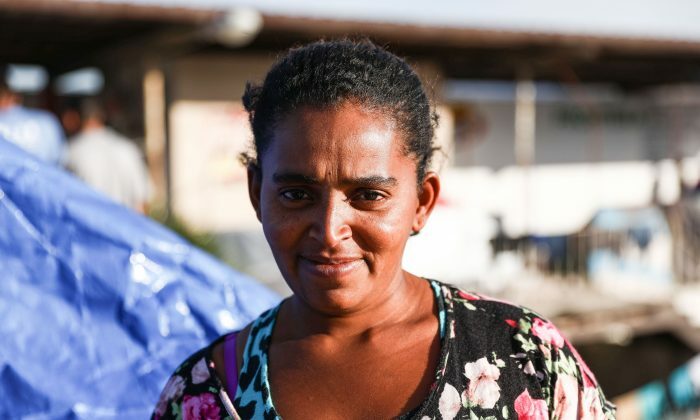 Aviles has eight children of her own, ranging in age between 5 and 19—she brought two with her and left the others behind in Honduras. She said she heard about the caravan on TV and traveled through a few cities to catch up with it. In the short term, she plans to work in Mexico and earn some money to send home. A U.S. Customs and Border Protection (CBP) spokesperson said Border Patrol arrests 120 to 145 illegal border crossers on average per day in the San Diego Sector. “With the arrival of the migrant caravan to Tijuana, Border Patrol agents in the San Diego Sector have experienced a slight uptick in immigrant families illegally entering the United States and turning themselves in,” the spokesperson said Dec. 4. The most recent available numbers from CBP show that apprehensions of family units shot up by 570 percent, when comparing October 2018 to the year-earlier month. In October 2017, 172 family units were apprehended, whereas in 2018, more than 1,150 family units were apprehended. Those numbers are still low compared to the Rio Grande Valley in Texas, which saw 2,310 family units cross illegally in October. And along the whole Southwest border, Border Patrol apprehended almost 51,000 illegal crossers in October. In the past week, CBP arrested a caravan member with ties to the violent MS-13 gang, as well as a convicted murderer. The Department of Homeland Security said it has identified at least 600 members of the caravan with criminal records. 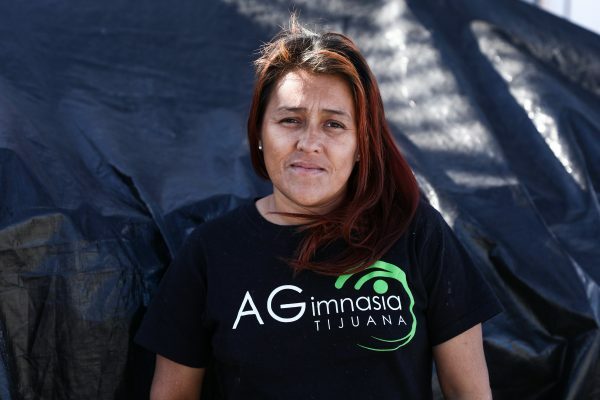 “Yeah, everybody thought that the border would just open and we were going to cross. But it’s a difficult thing,” said Honduran Christian Chavez, 24. He also was under the impression that the migrants would be given Canadian visas if they wanted them. A common refrain from many migrants The Epoch Times spoke to was that they were told that representatives of countries such as Canada, Switzerland, and even Spain, would be at the U.S. border to welcome them. While the origin of that information isn’t known, it’s heard frequently. Honduran Carlos Javier Ramos said it’s possible the caravan migrants were used for political purposes, although he is grateful for the support from open-borders group Pueblo Sin Fronteras on the trek north. 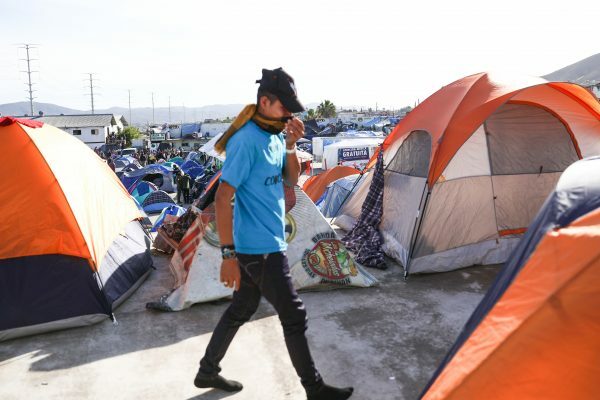 Pueblo Sin Fronteras has denied it is behind the formation of the caravan, but it has led caravans from Central America to the United States for years. Ramos, who lived and worked in the United States illegally for five years, said he returned to Honduras in 2009, but now wants to get back into the United States legally. He’s in line to request asylum. He left his wife and two daughters, aged 5 and 8, in San Pedro Sula, one of the most crime-ridden cities in Honduras, and the origin of the caravan. He said he is a professional painter. The caravan traveled 2,500 miles through Mexico to Tijuana, rather than take the much shorter, 1,170-mile route to the Texas border. Some have said the decision to change direction while in Mexico City was politically charged, while others say it was a safety issue. Irineo Mujica, director of Pueblo Sin Fronteras, said he traveled with the caravan since Tapachula, Mexico, just north of the Guatemalan border. He said the direction was, in part, because Mexican states shipped the migrants out of their territory as quickly as possible, and the route was basically chosen for them. Mujica said the Texas border is the “worst place” to go. Ramos, a migrant, said a lot of crime occurred along the way anyway. “There were many deaths, there were many people who disappeared, there were people picked up in the road, there were even dead children,” he said. Ramos said that in Irapuato, he witnessed a young boy being snatched into a van after he was sent outside by his mother to beg for money. “I wasn’t told that. I saw it. Outside the shelter. And the same way they stole that kid in Irapuato, many children disappeared along the way. Many adults disappeared along the way,” he said. 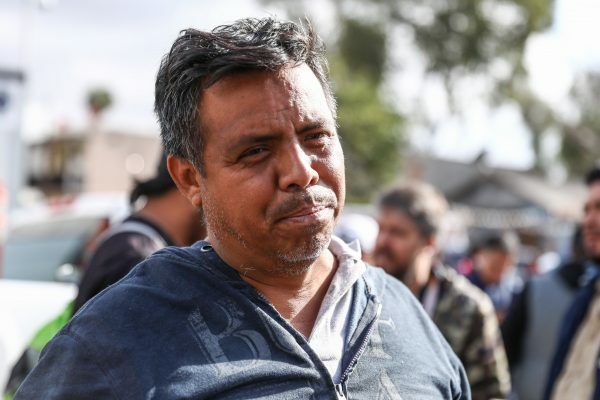 Tijuana Mayor Juan Manuel Gastélum said the federal government told him the caravan went to his city for safety reasons. Gastélum said it is costing his city $25,000 per day to feed and house the migrants. 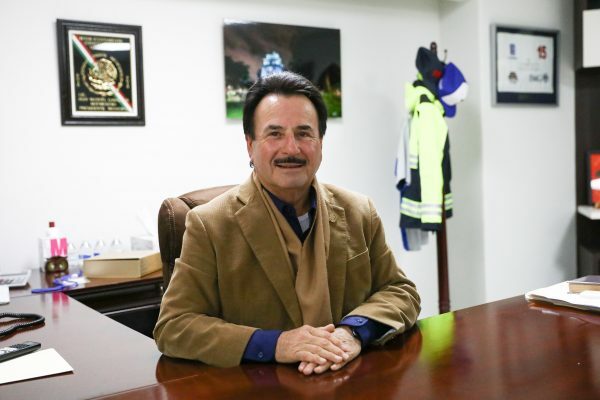 Dr. Robert Bunker, an instructor at the Safe Communities Institute, University of Southern California, said Tijuana was chosen for political reasons. “We have to assume that a specific policy was being supported by such decisions. This policy—which would further the political agenda of the caravan facilitators, with Pueblo Sin Fronteras dominating—is meant to create drawn-out ‘political theater’ to keep the international media spotlight on the issue of immigration rights and their advocacy of open borders, in direct variance to the sovereign rights of states,” Bunker said. Pueblo Sin Fronteras retweeted a flier on Dec. 3 that makes demands of Mexico’s new President Andrés Manuel López Obrador on behalf of Central American migrants. The flier, which was first tweeted by a group called La72, calls for the abolition of Mexico’s migration agency. The group is not the first to try to agitate the migrants into political action. California-based communist group BAMN (By Any Means Necessary) failed in its attempt to rally the migrants to march to the U.S. border on Dec. 1—Obrador’s Inauguration Day. “Open the border or we’ll shut it down!” a tweet by the group reads. With reporting by Kimberly Hayek and translations by Ileana Alescio.